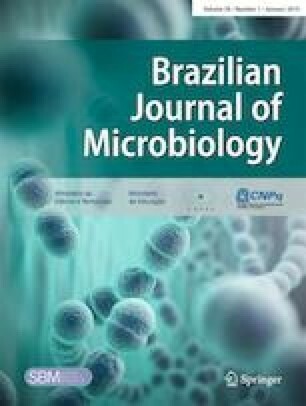 Comparative studies of enhanced rhizoremediation with biostimulation and bioaugmentation techniques in remediation of oil-contaminated mangrove environment were investigated. Contaminated soils at 7190 mg/kg of oil were subjected to the following treatments: soil (S), soil + oil (SO), soil + oil + fertilizer (NPK) (SOF), soil + oil + fertilizer + microorganisms (SOFM), soil + oil + fertilizer + microorganisms + solarization (SOFMS) (triplicates): two sets planted with P. australis, E. crassipes, and one unplanted. These were studied comparatively for 120 days for culturable (aerobic, mesophilic) heterotrophic and hydrocarbon-utilizing microbial populations, and soil residual TPH. Results showed culturable heterotrophic and hydrocarbon-utilizing microbial populations and TPH loss in planted soils were consistently higher than those in unplanted receiving corresponding treatments (P ˂ 0.05). There were 44.4, 71.8, 74.7, and 67.5, and 50.5, 71.8, 82.3, and 71.8% reduction in residual TPH in soil planted with P. australis and E. crassipes respectively for treatments PSO, PSOF, PSOFM, and PSOFMS as against 20.0, 62.6, 67.5, and 67.5% losses in SO, SOF, SOFM, and SOFMS. Treatments PSOFM and SFOM recorded the highest TPH loss with daily residual TPH loss in the order as follows: E. crassipes (49.20 mg/kg/day) ˃ P. australis (44.64 mg/kg/day) ˃ unplanted soil (40.32 mg/kg/day). Enhanced rhizoremediation was more effective than biostimulation and bioaugmentation techniques.